Lisa Small was appointed Senior Curator, European Art in 2017, after joining us in 2011 as Curator of Exhibitions. Most recently, she organized the exhibition and edited the catalogue for Killer Heels: The Art of the High-Heeled Shoe (2014). She also co-curated the traveling exhibition French Moderns: Monet to Matisse, 1850–1950 (2017). Small coordinated our presentations of Georgia O'Keeffe: Living Modern (2017), The Rise of Sneaker Culture (2015), The Fashion World of Jean Paul Gaultier: From the Sidewalk to the Catwalk (2013), and Jean-Michel Othoniel: My Way (2012). 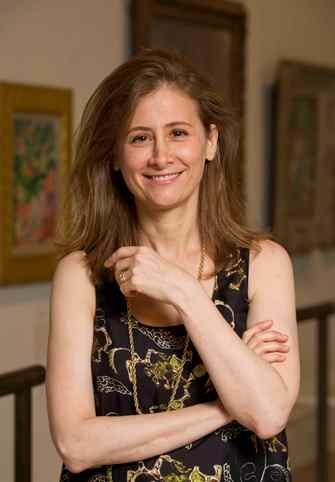 Previously, she was Senior Curator of Exhibitions at the American Federation of Arts, where she coordinated traveling exhibitions including Turner to Cézanne: Masterpieces from the Davies Collection, National Museum Wales and Gods and Heroes: Masterpieces from the École des Beaux-Arts, Paris. Prior to joining the AFA, Small was a curator at the Dahesh Museum of Art, where she organized and contributed to catalogues for numerous exhibitions, including Napoleon on the Nile: Soldiers, Artists, and the Rediscovery of Egypt and Fantasy & Faith: The Art of Gustave Doré. Small has taught art history and the history of photography at Hunter College, Brooklyn College, and the School of Visual Arts. She received a B.A. from Colgate University, an M.A. in Arts Administration from New York University, and an M.A. and M.Phil in Art History from CUNY.